John Sibley arrived in America in 1629 from Dorsetshire, England and settled in Salem, Massachusetts. Judge Solomon Sibley was the 6th generation lineal descendant from John Sibley. 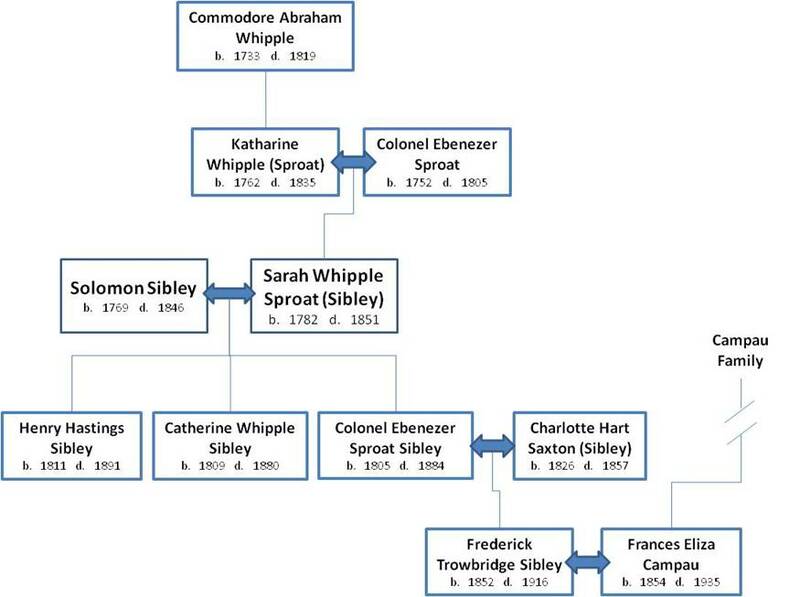 Sarah Whipple Sproat was the only child of Colonel Ebenezer Sproat and Katherine Whipple Sproat. Sarah Whipple Sproat was also the granddaughter of Commodore Abraham Whipple of Rhode Island.